Boyd Bros has partnered with the best of the best. 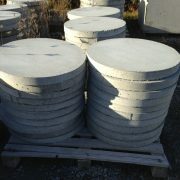 As a result, we proudly fabricate precast concrete products for Ecoflo, Waterloo Biofilter and ReCon. Of course, we also have our own full line of agricultural precast, precast utility items, precast natural stone steps and a wide variety of custom pieces for inspiration! Additionally, we use only the best suppliers and technologies on the market, all so we can provide you with the highest caliber, ‘complete’ solutions to any precast concrete or wastewater application! – AND – While we don’t do any onsite work, we will happily recommend a local contractor to work with you! 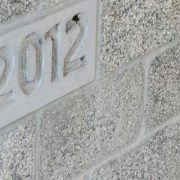 Precast Concrete- It’s What We Do Best! 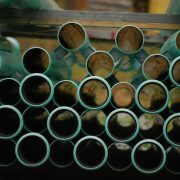 Boyd Bros Concrete manufactures and supplies a full lineup of septic products. 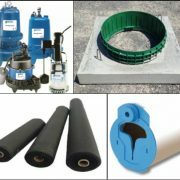 Some of our products include precast concrete septic tanks and pump tanks, adapter lids, pipe, fittings, pumps and more. Boyd Bros also proudly manufactures and supplies complete advanced treatment units by EcoFlo and Waterloo Biofilter. Our solid relationships with septic contractors and installers is a direct result of our ability to listen, respond and support these companies on a professional, as well as personal level. We offer PDF spec sheets, installation instructions, manuals and more to all contractor, installer and designer clientele. Boyd Bros Concrete proudly manufactures and supplies certified Level IV treatment systems by Ecoflo and Waterloo Biofilter. 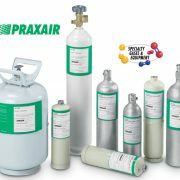 Companies who own these technologies have everything to gain by having their products certified since certification is the consumer’s guarantee of quality and reliability. Level IV treatment systems reduce waste resulting in smaller tile bed sizes, therefore, making them an ideal solution for smaller lots and the Eco-friendly consumer. The type and size required will vary according to the surface area, landscape, permeability and lastly, depth of the natural soil on site. Gone are the days of spending your time at the quarry picking stones for your retaining wall. Non-engineered walls are a thing of the past! ReCon Retaining Wall Systems is an industry leader in producing aesthetically pleasing and structurally superior geogrid and gravity retaining walls. 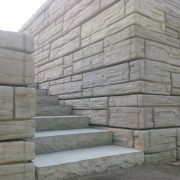 Wall blocks are fully engineered, high-quality precast concrete with a decorative ‘weathered-edge’ stone-like finish. ReCon blocks are guaranteed to deliver the performance you need, the aesthetics you want and of course, the value you expect. Available in natural grey or in custom colors this system will look great, as well as satisfy any site condition. We live and work in a rural environment, and as a result, we understand all of your farming needs. Precast agricultural products are all made using high-strength concrete which allows for excellent corrosion protection in highly corrosive areas. Don’t settle for outdated, ineffective pour-in-place concrete techniques so many companies still use. Precast concrete sections yield a more modular and stronger finished product, easily providing a long-term solutions to your storage and feeding requirements. Boyd Bros manufactures fence line feed bunks for cattle, as well as upright T-wall Silo panels for all of your silage needs.